Epic Sciences said it will add simultaneous microsatellite instability (MSI) and chromosomal instability (CIN) measurements—also called genomic scarring analysis—to its single cell next generation sequencing (NGS) workflow for clinical research of immuno-oncology therapies. Epic is looking to combine the MSI and CIN capabilities at a time when researchers have reported synergistic benefits to combining programmed cell death protein 1 (PD-1) checkpoint inhibitors with DNA damage repair targeted therapies such as ATR and PARP inhibitors. Their respective biomarkers, MSI and genomic scarring, have until now been thought to be mutually exclusive mechanisms. 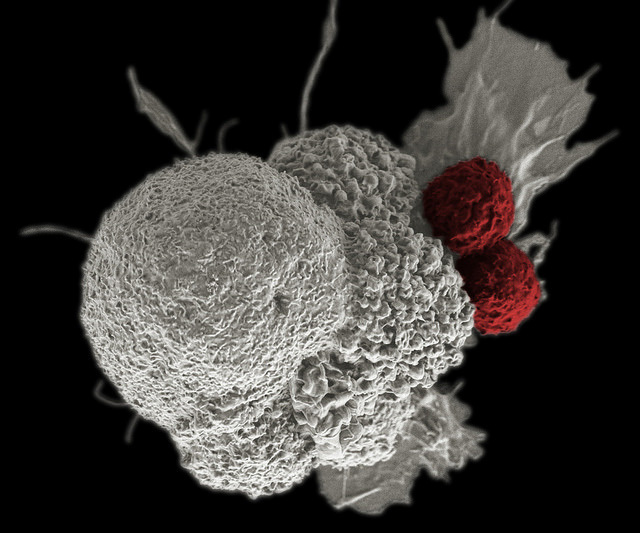 Mark Landers, VP of translational research at Epic Sciences, noted that while MSI has been approved as a companion diagnostic for Merck’s Keytruda® (pembrolizumab) by the FDA, the number of patients that benefit from Keytruda is substantially higher than number of patients who are confirmed as MSI high. Approved for its first indication in 2014, Keytruda is a humanized monoclonal antibody that blocks interaction between PD-1 and its receptor ligands, PD-L1 and PD-L2, thus increasing the immune system’s ability to fight cancer. In many cancers, Landers added, MSI occurs at very low frequency limiting its efficacy for patient selection. That very low frequency eliminates the practical use of testing due to the poor health economic argument of testing an entire patient population for a benefit from a small percentage of patients. When the MSI and CIN measurements were applied, Landers said, researchers observed MSI occurring sub-clonally in patients that would likely be missed by conventional testing methods due to high heterogeneity of disease and sub-sampling. “By simultaneously understanding the prevalence of MSI and HRD in single cells in the circulating tumor burden in late stage patients, we enable finding patients likely to respond to checkpoint inhibitors (PD-1), PARPi/ATRi, or combinations thereof which could expand patient populations and indications for these emerging drug classes,” Landers added. Epic said it has highlighted the power of MSI and CIN by analyzing circulating tumor cells (CTCs) from the blood of metastatic castration-resistant prostate cancer (mCRPC) patients. Numerous patients had subclonal high MSI CTCs amongst a predominance of CTCs with low MSI, while some CTCs with low MSI had high levels of genomic scarring, the company said. He said Epic Sciences is working with several checkpoint inhibitors across multiple indications as single agents and combinations. The company won’t disclose the checkpoint inhibitors, citing client confidentiality, or the studies it is pursuing, pending future publication and public presentation. Also undisclosed are Epic’s academic and biopharma partners, which according to the company’s website include more than 37 pharmaceutical and biotechnology companies, major cancer centers, the NIH and its National Cancer Institute (NCI). Headquartered in San Diego, Epic has developed No Cell Left Behind®, a rare-cell detection and characterization platform designed to help match patients to therapies and monitor for drug resistance. The platform is based on technology that has been exclusively licensed from The Scripps Research Institute. Another partner, Genomic Health, has joined with Epic Sciences to commercialize the Oncotype DX® AR-V7 Nucleus Detect™ test, designed to inform therapeutic decisions between taxane chemotherapy or androgen-directed therapeutics in metastatic castrate-resistant prostate cancer.